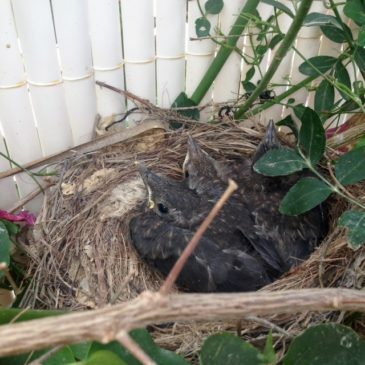 Anne has sent in another photo to show the progress of the baby Blackbirds which are nesting in her garden. 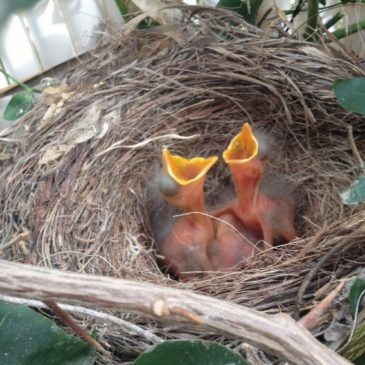 Anne has sent in a photo of some young Blackbirds in a nest in her garden. 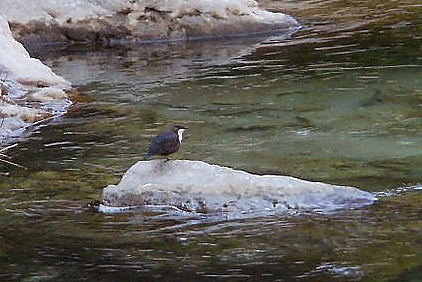 There are three in the nest but one was hiding! 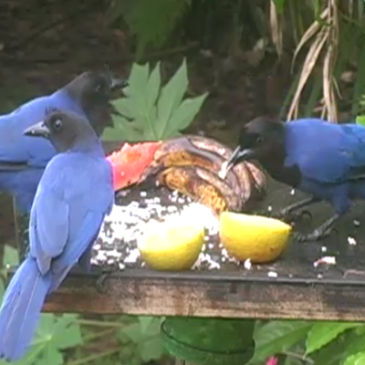 Anne is enjoying watching all the feeding activity at the nest. 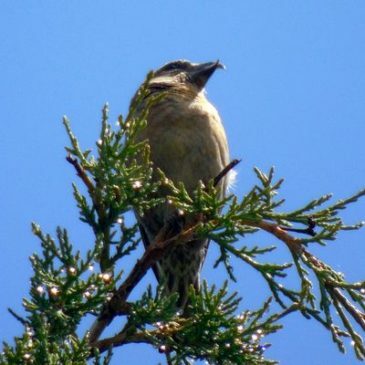 Greta Owen has sent in a photo of a Crossbill taken during the May field trip. 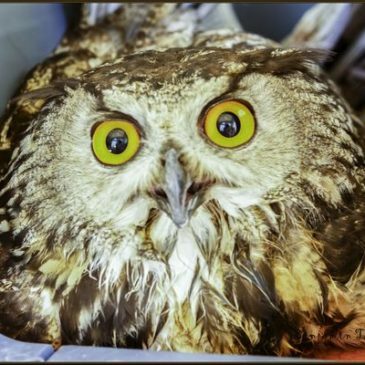 This and more of Greta’s photos can be viewed in the ‘Birder’s Photos’ Gallery. 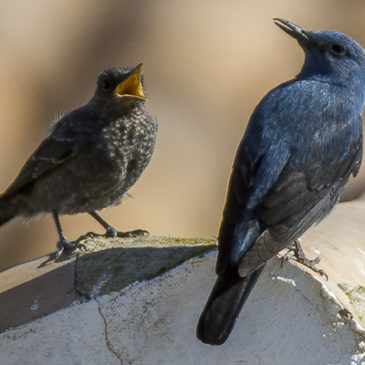 Bryan Thomas has sent us a photo of a Blue Rock Thrush feeding a young bird. 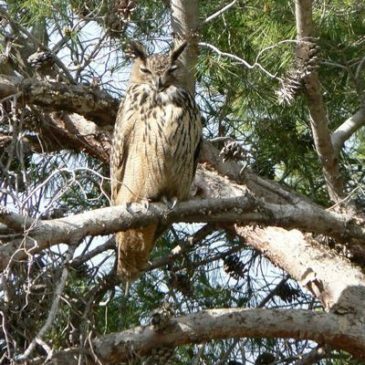 They are nesting near his home in Gran Alacant. Southern Grey Shrike in Dave’s garden! 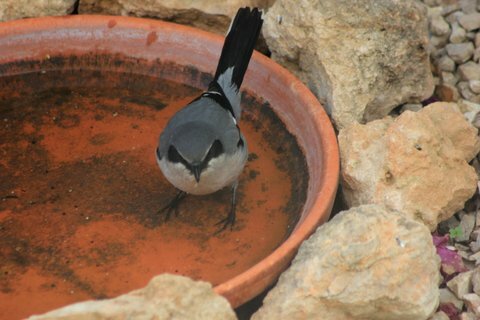 Dave and Linda sent me some photos of a Southern Grey Shrike helping itself to some water/food in their garden today. 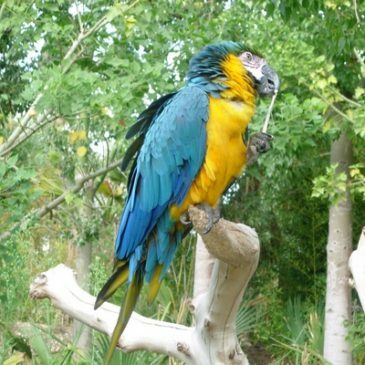 Not a bad bird for the garden!